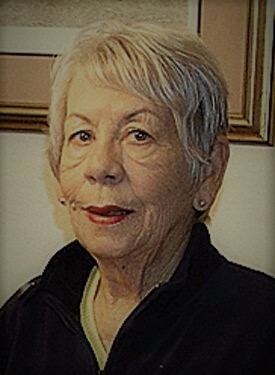 Brenda Chappell Lawlor died on Wednesday, January 23 in her home in Raeford, NC. She was born December 2, 1941 in Winston-Salem, NC to William Elliott and Patricia Ann Chappell. She is survived by her brother Ralph Chappell, sister Karen Chappell, son Tommy Lawlor, daughter Bridget Parnell, son-in-law Wayne Hayes and grandsons Joel Parnell and Jason Hayes. After graduation from Reynolds High School in 1960, she received her BA from American University in Washington, D.C. in 1964. Later she continued post-graduate work at North Carolina Central University in Durham, NC. Following a career with North Carolina Division of Services for the Blind, shed worked as a correspondent for the Wilmington Star-News. Her volunteer activities included membership in Fayetteville Lady Lions, Colonial Dames XVII Century, National Society Daughters of the American Revolution, United Daughters of the Confederacy, Phi Mu Fraternity, Hoke County Friends of the Library, Association for the Education and Rehabilitation of the Blind, and the Raeford Garden Club. She received the J. Marshall Parham Award for Outstanding Work in the Rehabilitation of the Blind. She was honored as one of the "Wonderful Women of Hoke" in 2015 and received the Jefferson Davis Medal for Historical Work by the UDC. She was an active member of St. David's Episcopal Church in Laurinburg, NC. A memorial service will be held at St. David's on Friday, February 1 at 4 p.m.
Memorials may be made to the charity of your choice with a donation of time, talent or money, or to the Library Fund, American University, 4400 Massachusetts Ave., N.W. Washington, D.C., 20077-4916.